Published: Jun 30, 2012 to ? A violent survival comedy. One day during the summer vacation, six undergraduate students accidentally wake up an Italian zombie girl named Jufrosine, who had been sleeping in the basement of the university building for one hundred years. The six deprive her of the "secret stone", which is necessary to maintain the integrity of her body, and run away. 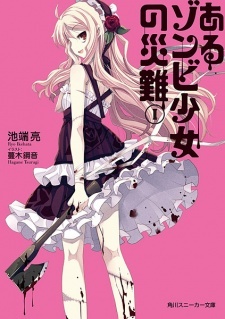 In order to survive, Jufrosine begins to kill the students, but she encounters unexpected counterattacks from them. Is this getting an anime adaption?